So it was my birthday last Sunday, and as a gift, my parents got me a new pen. I don’t know how they knew I was gearing up to buy this specific one, but somehow, they knew. 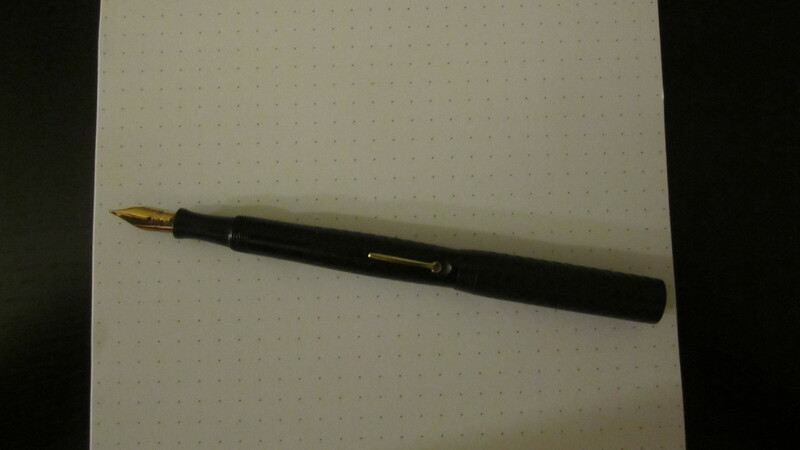 I have been researching this pen for a while now, and even had a variant until it broke recently. I had used it to take notes in class, and was stuck without a fountain pen for weeks until I found out about the new model. This is a pen that has turned into a classic since it came out. 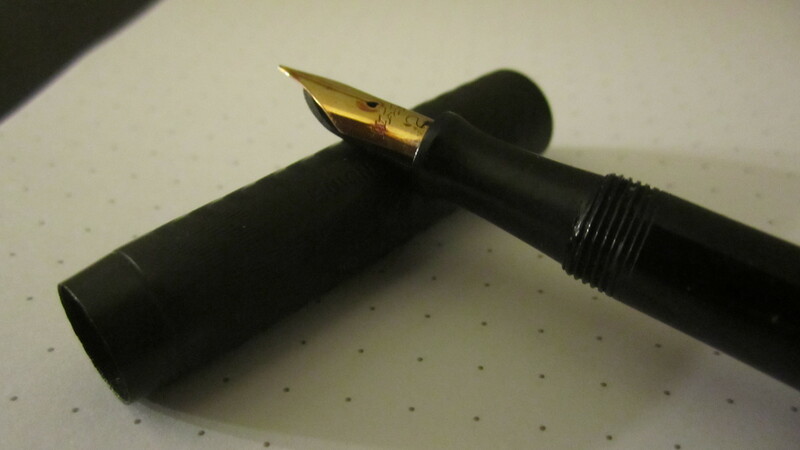 Said to be reliable by many, have a great range of nibs, and is the ultimate value in versatility, it has taken the fountain pen community by storm with it’s great quality, alongside an unbeatable price for it’s performance. Coupled with the best customer service I have had the pleasure of experiencing, I knew I had to get another one of these. I’m sure many of you recognize the unmistakable TWSBI logo, but before you think this is just another TWSBI Diamond 540 AL, I’ll tell you that there is something special about this one. What could it possibly be? Stay tuned for my upcoming review this Friday, and find out! First of all, I would like to thank Mr. Brad Dowdy for the referral. It was a pleasant surprise and is very much appreciated. As I am still new to blogging, I urge my viewers to use the Contact Me form and give me feedback. I feel that when it comes to a blog there are always things I can do to improve the experience. Your feedback is welcomed, and I guarantee I will take it seriously. Keep in mind that I will constantly strive to add more content as well as improving any visitor’s experience. However, wouldn’t it be much better if we all contributed ideas and created a truly great site that is made by the community, for the community? While I do have many successful templates out there I can follow, I want to create something that is unique, and memorable. So in short, make use of the contact form and comments, so when this blog really takes off, you can tell your friends that you were one of the people who helped make it happen. Have a great weekend, and see you very soon with some more reviews! After many months of looking at popular pen and stationary blogs, I finally decided that I wanted to start one of my own. As I am still new to this vast world of writing instruments, this blog will serve as a journal to document my experiences. This will be my first step of hopefully many, and I am happy to be able to share my experiences with you all. Truth be told I have always had horrible handwriting. Be it homework, essays, or note-taking, I have always struggled to write legibly. This all changed a month back, when I received my first fountain pen. It had been a birthday gift from my mother, and she gotten me a book on Copperplate calligraphy to go with it. Initially, I didn’t bother using them, as I was really focused with my studies at the time. A few days ago, I fished them out from the bottom of my book shelf, and sat down to just experiment a little to see if the book could help improve my appalling handwriting. 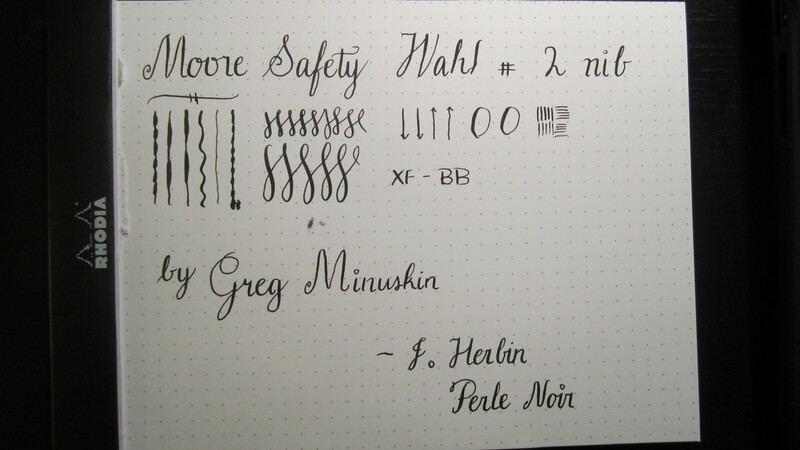 After a couple of hours of practice, I was reminded of learning cursive in my preschool in India. A wave of nostalgia washed over me as I formed the curves of each letter. During my practice, I realized that after 19 years on this earth, I didn’t have any hobby at all. I had nothing that I truly felt passionate about, and sincerely loved doing. Whatever I initially thought was a serious hobby turned out to be nothing more than a passing fancy. So I decided right then and there, that I would take pens and calligraphy seriously. 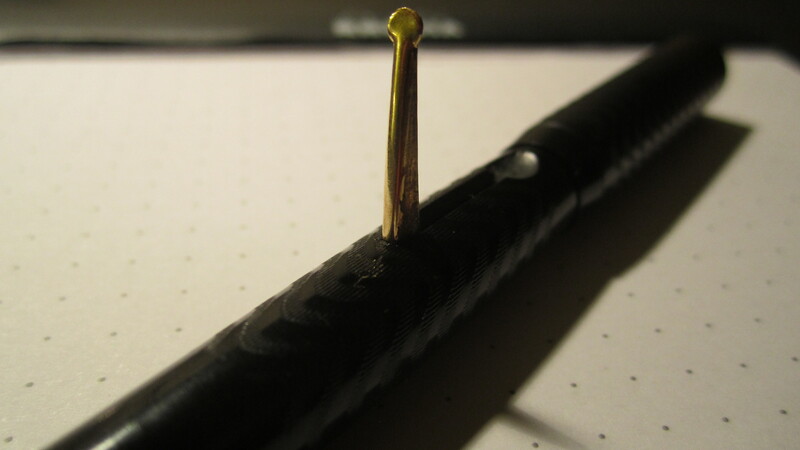 The main inspiration for this blog comes from the pen addict himself, Mr. Brad Dowdy, who has completely changed my perspective on pens and writing instruments in general. Mr. Dowdy, if you ever get the chance to read this, I’d like you to know that I am truly grateful for the inspiration you have provided me, and to keep up the great work. So without further ado, I begin my journey down this long, inky road. Wish me luck!